theBalm Balms Away Eye Makeup Break-Up ($20.00) is an emollient jelly makeup remover that assists in gently removing any kind of eye makeup. It is packed with Vitamins A, C, E and other plant-derived lipids and sterols that deeply moisturize the skin around the eye area including the lash and brow hair. There are so many reasons why I’m obsessing with this product right now. 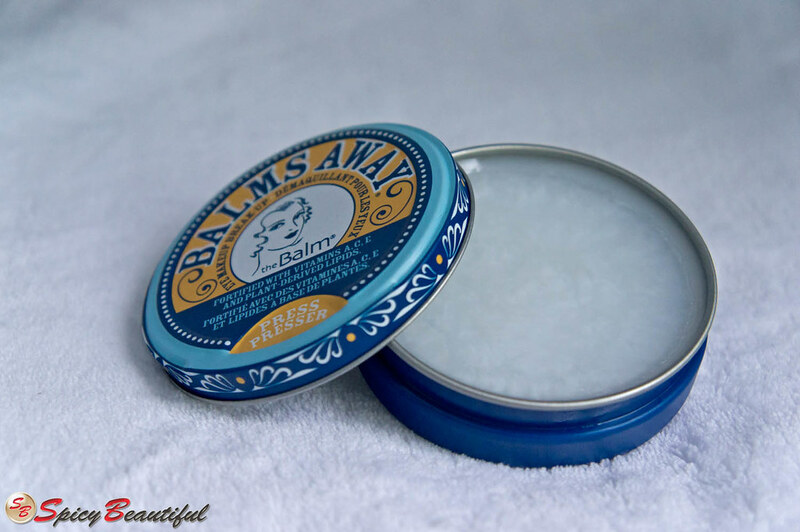 theBalm Balms Away eye makeup remover simply gets the job done and does it well. All you have to do is to dab and massage this product on your eyelids, eyelashes and brow bone for 20 to 30 seconds to completely “break down” or remove all makeup residues. It can remove eyeliners, waterproof mascaras, eyeshadows, highlighters, brow gels and basically any eye makeup products with so much ease and comfort. It glides on the skin like a dream and doesn’t’ tug the skin one bit when wiped away with a dry cotton ball so friction is reduced to almost nothing. For you to have an idea on how efficient this product is, I applied all sorts of eye makeup on my left arm and massaged a dab of the jelly right across them. With a single swipe of a cotton ball, you can see that all the eye makeup residues in the middle portion of the swatches were all gone. Unlike other eye makeup removers, this baby doesn’t dry my skin out. It has hydrating properties that keep the skin around my eyes moisturized and make my lash and brow hair well-conditioned. I heard that some use this product as an overall makeup remover because of how gentle and moisturizing it is but I just prefer using this on my eye area because I’m afraid it will feel quite heavy on my entire face if I do. 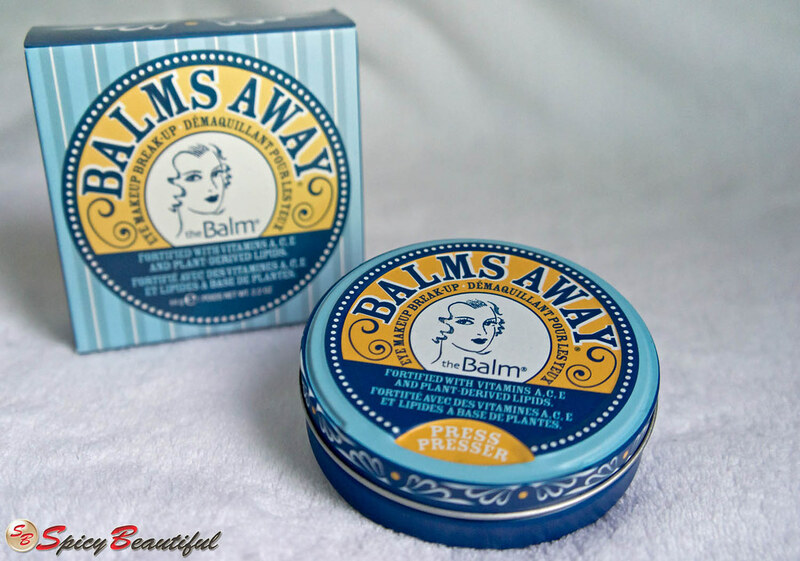 Overall, theBalm Balms Away Eye Makeup Break-Up is the way to go for a painless and hassle-free eye makeup removal. I must say that I have never used any product that takes away all eye makeup the way this big tub of goodness can. Very nice information. thanks for choosing this topic. there are many Eye Makeup Products Online. which you can use and look beautiful. 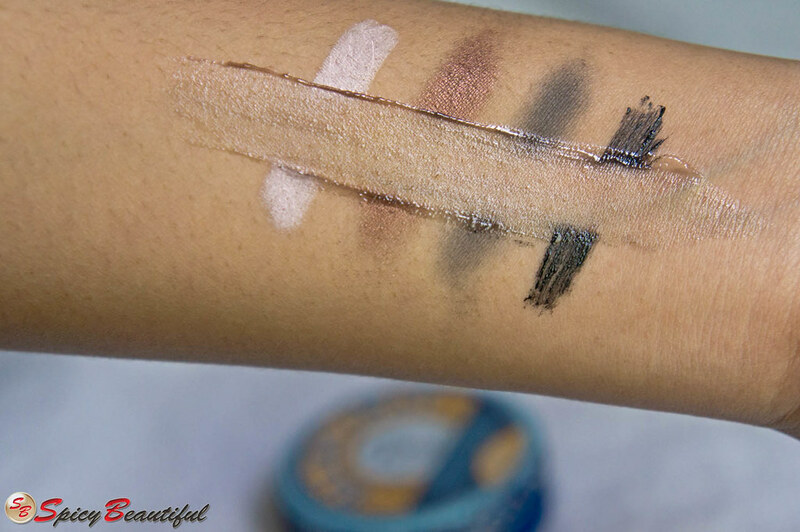 if you are looking for eye makeup product so ecart will help you.